For those who want a dining table that serves as the centerpiece of a dining space's décor, you cannot go wrong with the Instinct Dining Table. This awe-inspiring dining table boasts a high-end designer look and feel and consists of dazzling oak with a white wax finish. It also offers a metal frame for long-lasting strength and stability and will stand out in a modern or retro dining area. 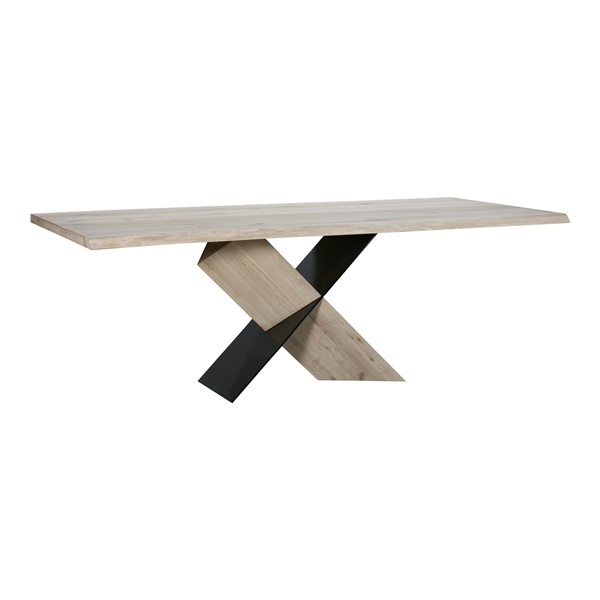 Pick up a dining table with a captivating style all its own – the Instinct Dining Table.